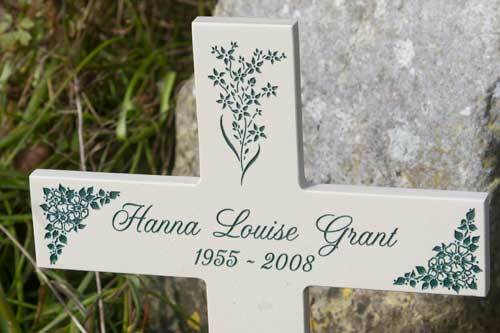 Corian memorial crosses - lettering and images can be laser engraved into the memorial cross. Lettering is laser engraved directly onto the cross. The letters can be painted in a number of different colours. Images can also be added, we have a large selection to choose from. Click Here You can also have the lettering in many styles. Click Here to see the fonts. Altogscr is shown on our top sample, but the choice is yours. You can pay online with a card, by phone, by cheque, by BACS, or by Amazon. 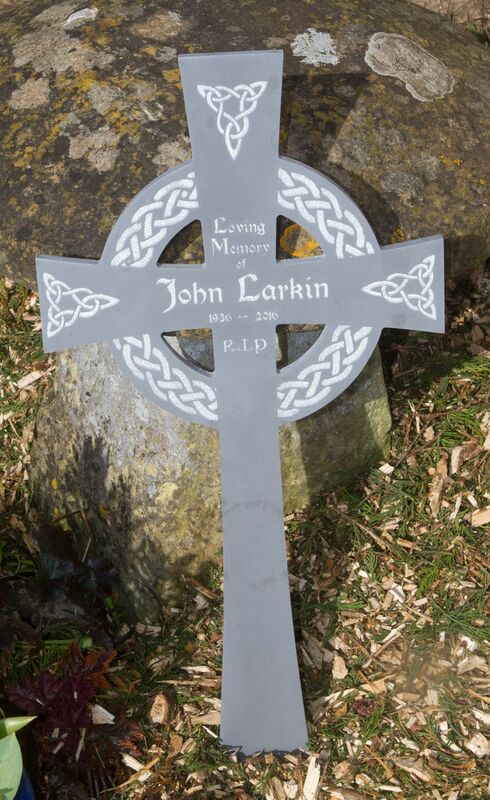 Wooden memorial crosses - lettering and images can be laser engraved into the wooden cross. Wooden memorial crosses with engraved lettering and oval porcelain photo. Solid Wooden Memorial Crosses - Hand made in Oak, Iroko or Sapele. Ideal for mounting plaques upon.